Rim Light, Au Naturale (Project 365, Day 183). Wow! I have to try out shots like this one, someday. 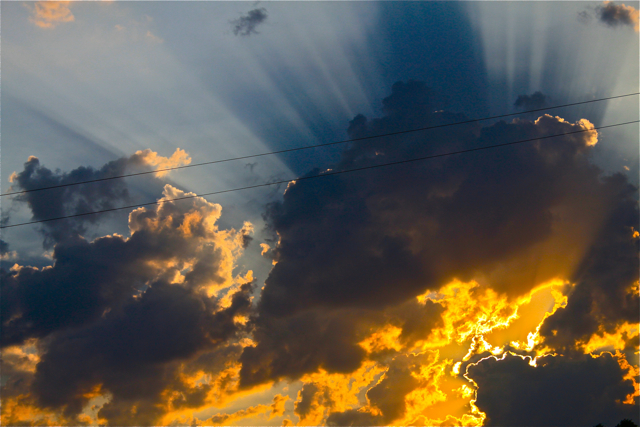 Beautiful – those African clouds really do something to your sunsets – look at those rays! Keep on taking sunset pictures!